Why the Cradle, Cross & Crown? And what is a Chrismon? There are many Chrismons. Individually, they remind us of some specific aspect of our God and the relationship we have with Him. Collectively they can tell a story of our faith, all that Christ has done for us, and who we are in Him. The Got Questions? Reasons Books feature Chrismons on the cover. 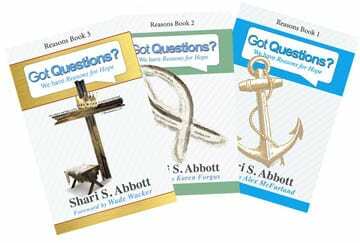 The first book features an anchor and closes with a chapter that tells how the anchor came to be a Chrismon and how it is a symbol of Jesus, our sure and steadfast hope (Hebrew 6:19). Read: Why the Anchor? Reasons Book 2 features a fish, drawn in the sand. The final chapter, “About the Fish on the Cover,” addresses Jesus’ calling us to be “fishers of men” (Matthew 4:19). 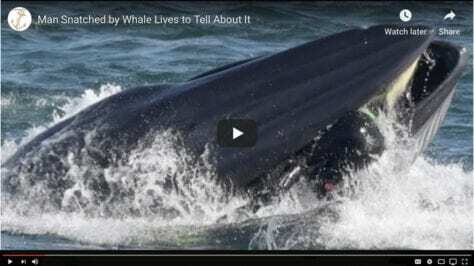 Read: Why the Fish? Reasons Book 3 features three iconic symbols—a cradle, a cross, and a crown. 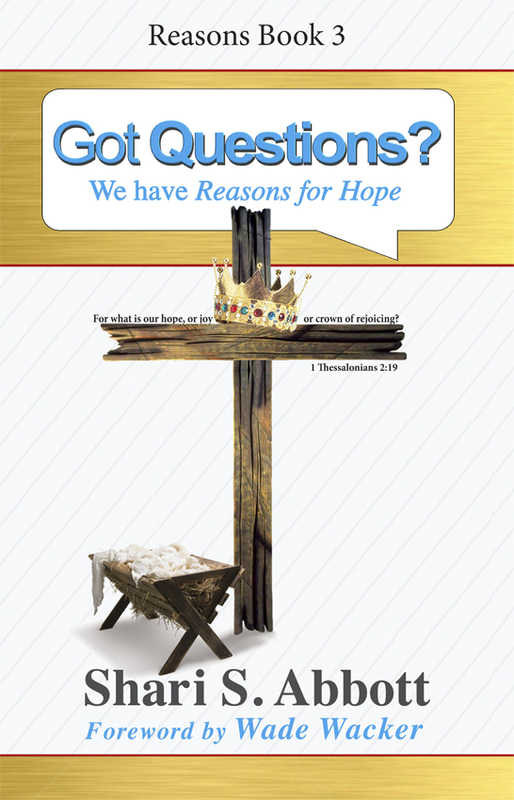 This book begins with questions focusing on the cradle (Jesus’ birth), followed by a number of questions about the cross, and then the book closes with answers to questions about the crown and glory. Together, Chrismons of the cradle, cross, and crown call to remembrance Jesus. Each reveals who He is and important aspects of Him life and ministry. From His incarnation to His sacrificial and substitutionary atoning death, to His resurrected glory, these three Chrismons remind us of the most amazing demonstration of love and the greatest gift of love ever given. John 6:38 For I [Jesus] came down from heaven, not to do mine own will, but the will of him that sent me. Without the Christmas cradle, we wouldn’t have the Calvary cross. God’s love for His children was beautifully displayed when He gave His Son (John 3:16). The prophecy of Isaiah 9:6 foretold that a Son would be given (divinity) and a child would be born (humanity). It was a profound sacrifice when God sent His Son, when Jesus, the Lord of Glory, left Heaven and came to earth to be incarnated in human form, conceived in the womb of a virgin, born in the humblest of circumstances, and laid in a manger for a bed (Gal 4:4). Jesus . He came to live with us. Matthew 1:23 Behold, a virgin shall be with child, and shall bring forth a son, and they shall call his name Emmanuel, which being interpreted is, God with us. The cradle reminds us of God’s great love and faithfulness. In the Garden, God promised a Rescuer. With the birth of Jesus, God’s plan began to unfold. Jesus entered into our world a helpless and dependent infant. In His incarnation, Jesus was fully human (a Child was born) and yet fully God (the Son was given). Jesus grew in stature and in wisdom and lived a sinless life ministering through healing and preaching. From the cradle to the cross, Jesus lived the life we could not live. Jesus was tempted, just as we are, and yet He never sinned (Hebrews 4:15). He lived every minute of His life in accordance with the will of the One who sent Him—God the Father, God His Father, God our Father — and then Jesus willingly and purposefully went to the cross. He took upon Himself our sins and paid the price of redeeming us with His own blood. The emblem of the cross is without a doubt the most important Chrismon. In the cross of Jesus, we see the symbol of our faith, the sorrow of our sins, the sacrifice of our Saviour, the surety of our redemption, and the glory of our souls. Its two bars were already a cosmic symbol from remote antiquity of the axis between heaven and earth. But its choice by Christians had a more specific explanation. They wished to commemorate as central to their understanding of Jesus neither his birth nor his youth, neither his teaching nor his service, neither his resurrection nor his reign, nor his gift of the Spirit, but his death, his crucifixion. The crucifix (that is, a cross to which a figure of Christ is attached) does not appear to have been used before the sixth century. At every forward step and movement, at every going in and out, when we put on our clothes and shoes, when we bathe, when we sit at table, when we light the lamps, on couch, on seat, in all the ordinary actions of daily life, we trace upon the forehead the sign [of the cross]. 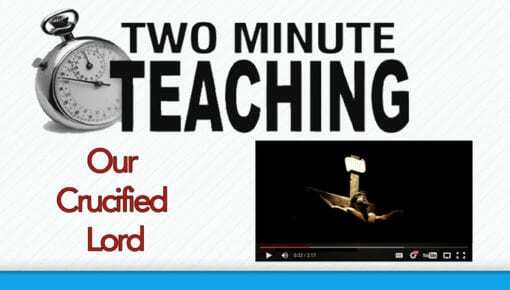 Most denominations do not teach the practice of tracing a cross on the forehead or the upper body. It is not of necessity since our being “marked” for Christ is not an outward sign. It is an inward sign of the presence and sealing of the Holy Spirit. However, this practice of “marking” a cross was just a visible way that the early church proclaimed identity in Christ. It was meant to show that through the cross of Christ we come to the Light and are marked as His own. The cross represents both Jesus’ sinless perfection as the perfect, spotless Lamb of God, and His substitutionary atonement when died for our sins. The cross also is a reminder of our sinful nature and our rebellious actions that put Jesus on the cross. 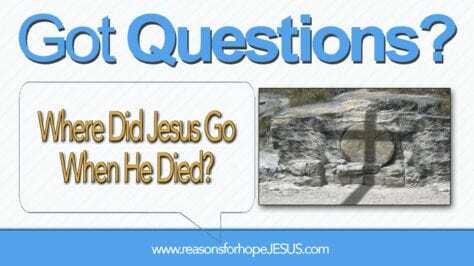 So often the question is asked, Who Killed Jesus? Some will say the Jews, for Peter proclaimed it (Acts 2:23). Some will say the Jewish leaders, for they conspired to kill him (Matthew 26:3-4). Still, others will say the Romans, for we know that they were in power at that time. We must also remember that it was the purpose, plan, and will of God the Father to commission Jesus with the work of redeeming mankind (Isaiah 53:10). And finally, let’s not forget, Jesus went willingly to the cross in complete and total submission to His Father’s will (Matthew 26:42). It was Jesus who laid down His life (Mark 15:37, Luke 23:46, John 19:30). But who really killed Jesus? 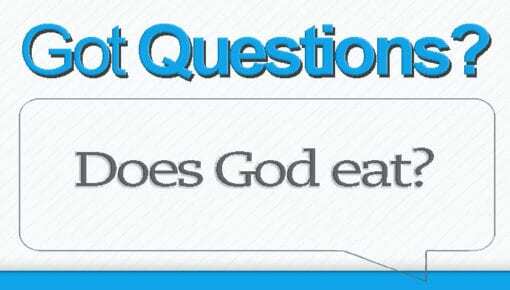 The answer is―I killed Jesus…and so did you! It was the sin of man that made the cross of Jesus necessary. It was our sin that put Jesus on the cross, in accordance with the Father’s plan, and by the Son’s obedience to the will of the Father. Some people (including confused Christians) have said that the cross is a type of execution chair. One misguided Christian even called the cross “cosmic child abuse.” It is neither of those things. The cross is the most beautiful symbol of God’s amazing love and redemptive power. We often think of a heart as the symbol of love, but it should be the cross. A heart can stop loving, and all hearts will one day stop beating, but the cross represents the only One who will never stop loving and in whom is found eternal life. The cross stands as the central Chrismon of Jesus’ work as Son of God (the cradle), Saviour (the cross), and Conquering King (the crown). 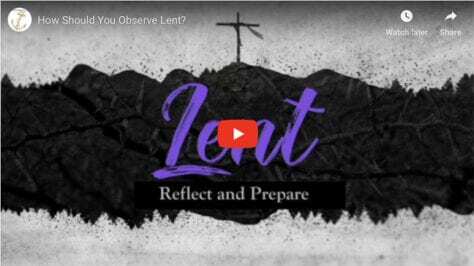 We should gaze upon the symbol of the cross and it should take us to our knees in humble adoration of the One who gave His life that we might live. Without the cradle, we would not have the cross. However, even if we had not had the cradle and the cross, Jesus would still be King. Jesus is eternal, meaning He has no beginning or end. Jesus dwelt in glory from eternity past, reigning and ruling as Sovereign over all things. He left glory (the place of glory, Heaven) and came to earth to dwell with us. 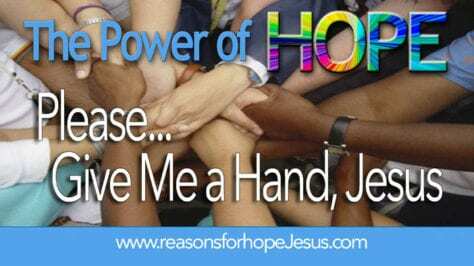 When Jesus rose from the dead and ascended into glory, He was restored to the place from where He had come—the right hand of the Father (Mark 16:19, Acts 7:55, Romans 8:34, Colossians 3:1, Hebrews 1:3). The crown that represents His glorification after the cross belonged to Him from the beginning of time and from eternity past. It was not received by Him. The crown and glory was fully restored to Him, for He had set it aside when He came to live a human life. Yes, the crown represents the Lord’s rule and reign as King throughout all eternity and it represents the glory He received when He glorified His Father by completing the mission for which God sent Him (John 17:5), but the crown more fully represents who Jesus is! He is holy, perfect and just, and from Him flows love, joy, peace, patience, kindness, goodness, faithfulness, gentleness, and self-control. He is the Sovereign Ruler over all! It is not just being good that is required to enter into the presence of God. God demands that we be perfect (Matt 5:48). That is something we can never achieve, so God sent Jesus. Jesus came to do for us what we can not do for ourselves: live a life of sinless perfection. And Jesus gives to us His righteousness—the righteousness symbolized by the Crown. 2 Corinthians 5:21 He hath made him to be sin for us, who knew no sin; that we might be made the righteousness of God in him. Martin Luther called this The Great Exchange. An earlier church father, Athanasius of Alexandria (296-373 AD), called it The Glorious Exchange. Christ took upon Himself our sins, paid the price for all of them, and when He saved us He washed them away and gave us His righteousness. Let the Crown of Christ be a symbol that brings to mind our great gift of Christ’s imputed righteousness. The life we did not live, and the righteousness we did not earn—the righteousness that Christ has given to us — perfection in the eyes of God. When God looks at us, He sees the righteousness of Christ in which we are clothed (Isaiah 61:10, Philippians 3:9). Humble yourself before God. Not only before the cross of His substitutionary sacrifice, but also before the cradle of His incarnation and the crown of His glorification. See the immensity of His life and the majesty of His righteousness. Keep your eyes on Jesus and your heart devoted to Him, remembering all He has done for you and all He has given to you. 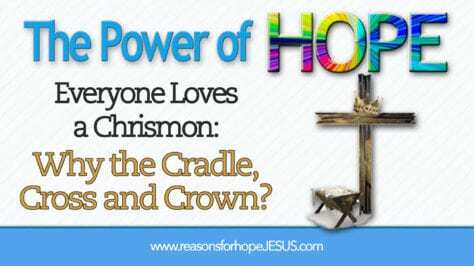 The cradle, cross, and crown should always be a reminder of the hope of glory. Our resurrected life began the minute Jesus saved us, but the rewards of our inheritance will be fully received when we enter into His glory. Read also: Why the Anchor? and Why the Fish? 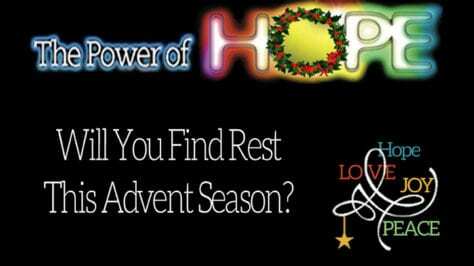 Will You Find Rest This Advent Season? 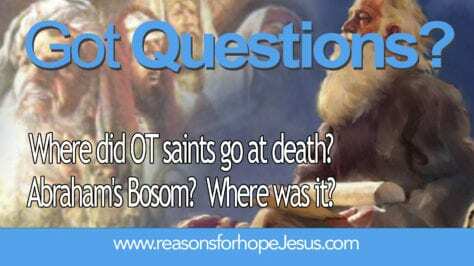 Where did OT saints go at death? Abraham’s Bosom? Where was it? 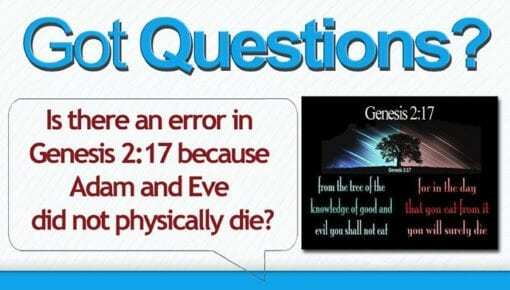 Is there an error in Genesis 2:17 because Adam & Eve did not physically die? 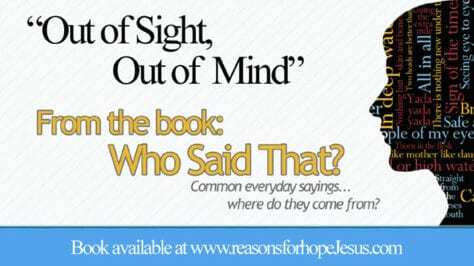 “Out of sight, out of mind.” Who said that?